Merger and acquisition activities have become an integral part of today’s businesses world. They are considered as strategic component to gain market share and extend product portfolios. Still, these transactions have a huge impact on an organization. 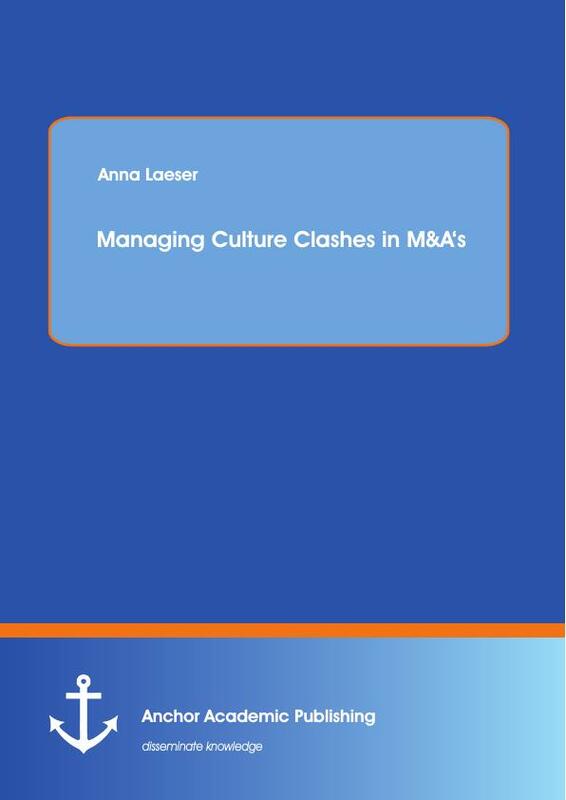 This paper looks specifically at the M&A impact on company culture. Based on an analysis of identified key elements, which drive an M&A process, a cultural integration toolkit will be developed to solve identified cultural problems. Secondary data serves as source data for an inductive approach. Cultural problems and key drivers will be identified based on systematic research. The implantation of these key drivers in existing integration models will be further studied. Findings prove that not all of the identified key drivers are implemented in the models. Therefore, existing models solve the identified cultural problems semi-efficient. This leaves the need for a basic integration tool, which implements all key drivers, serves as guideline through an M&A process and provides specific instruments for realization of single steps. This paper develops such a basic integration toolkit in chapter 5. The toolkit meets all these requirements and proves that “managing culture clashes in M&A’s” is possible.